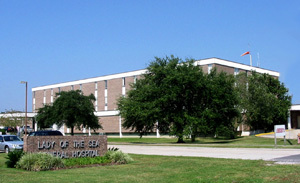 Lady of the Sea Medical Clinic - Larose is a family medicine clinic also designated as a Patient Centered Medical Home. WALK-IN After Hours and Weekend Care available from 5pm - 9pm Monday through Friday and from 9am-3pm on Saturday and Sunday at Lady of the Sea Medical Clinic - Cut Off. 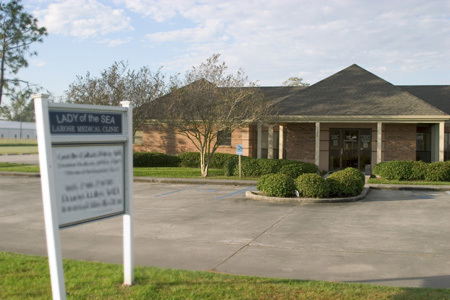 Lady of the Sea Medical Clinic – Larose recognized as a patient-centered medical home. As recognized by the National Committee for Quality Assurance (NCQA), a patient-centered medical home is a model of care that emphasizes care coordination and communication to transform primary care into "what patients want it to be." Patients in medical homes receive the right care, in the right amount, at the right time. This increasingly popular delivery system modernization leads to safer and better care, empowers patients and renews the patient – provider relationship. "Everyone who works in our clinic is completely focused on the patient and what is best for them," said Camille Pitre, MD. "We've recently rearranged schedules and focused on care coordination and management to ensure that our patients are receiving the very best health care available today." assessment program from a national quality evaluator that results in this designation.